In spite of the damning reviews from Movie critics, Warner's Batman Vs Superman movie has broken the record for the biggest opening week for any movie adaptation of a comic book in history. The first movie of the DC Expaned Universe brought in $424 million worldwide in its first three days or opening weekend. 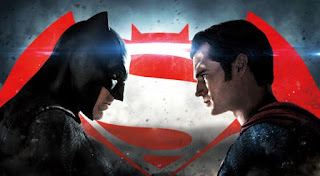 Batman vs Superman beat out Marvels' Avengers: Age of Ultron, which made $400 million, for the honour. Batman vs Superman is also scored the fourth highest global opening behind Stat Wars: The Force Awakens, Jurassic World, Harry Potter and the Deadly Hallows Part 2.